Since I could not find the blog I did years ago. I starting from scratch. Hopefully, I can re due it so everyone can understand it. 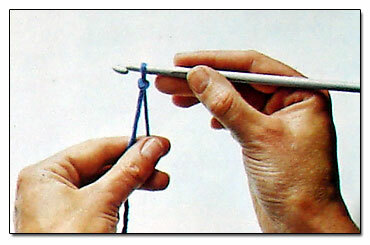 Grasp your crochet hook in your right hand, between your thumb, index finger, and middle finger. 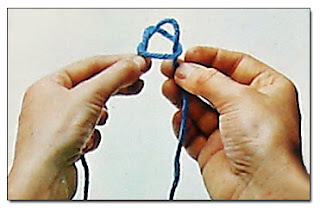 A slip knot is one of the very first things you need to know to get started with crocheting. 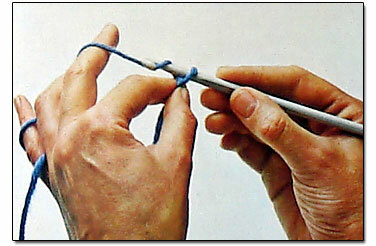 Written Directions: Grasp the slip knot in your left hand; the slip knot should be facing you. 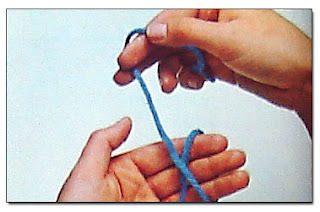 Position your thumb so that it is securing the tail of the yarn that is directly below the slip knot. The yarn that is still connected to the ball will flow over your index finger, and you will use your middle finger, fourth finger, and pinkie to manipulate the yarn as you crochet. Beginning crocheters usually start out by learning the chain stitch first. The chain stitch is one of the most important basic crochet stitches you'll need to know; chain stitches form the foundation of most crochet projects. 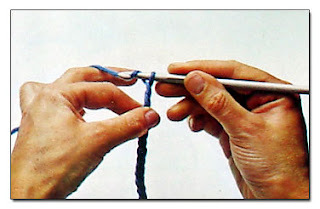 While your crochet hook is still inside the slip knot, slide the hook in between your yarn and the index finger on your left hand. Rotate your crochet hook by about one quarter turn counterclockwise, and use your middle finger, fourth finger, and pinkie to help you manipulate the yarn so that you can easily grab it with the crochet hook. After you’ve hooked the yarn, draw it through the slip knot. As you draw the yarn through, you will likely find it easier to complete the stitch if you return the hook to its original position facing upwards. One chain stitch has been completed. To make another chain stitch, hook another loop and draw it through. Repeat as many times as necessary. 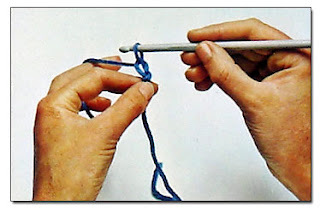 As you crochet, use your thumb and index finger to guide your newly formed chain stitches downward.